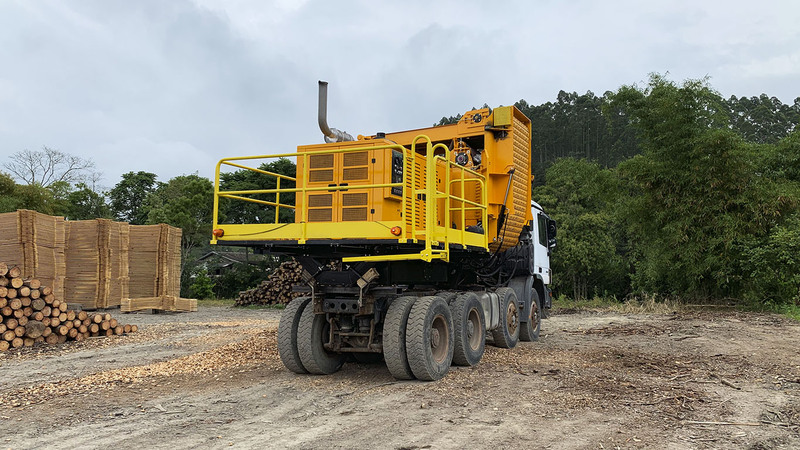 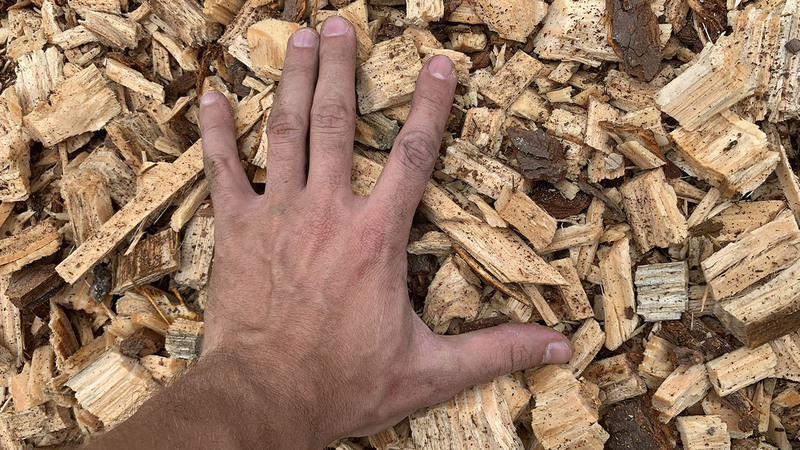 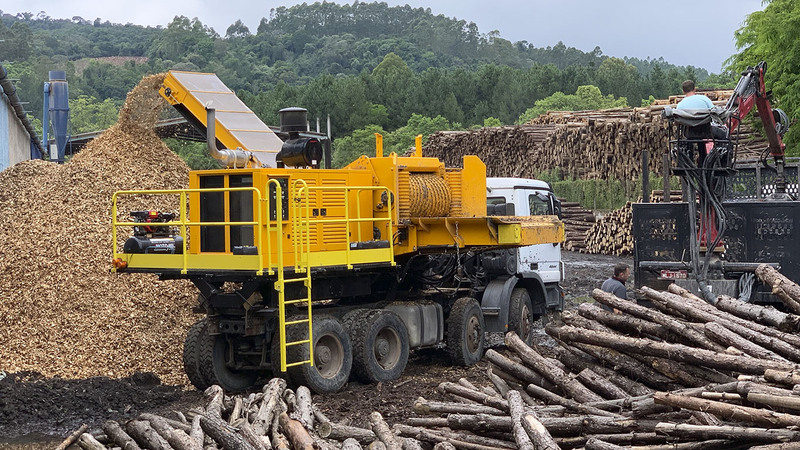 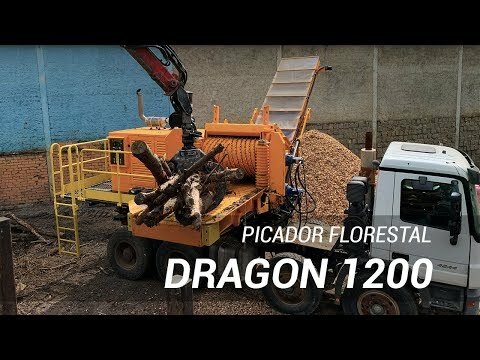 The Forestry Chipper DRAGON 1200 is the solution for the chipping of a wide variety of woods producing high quality chips with production pf more than 200 m³/h. 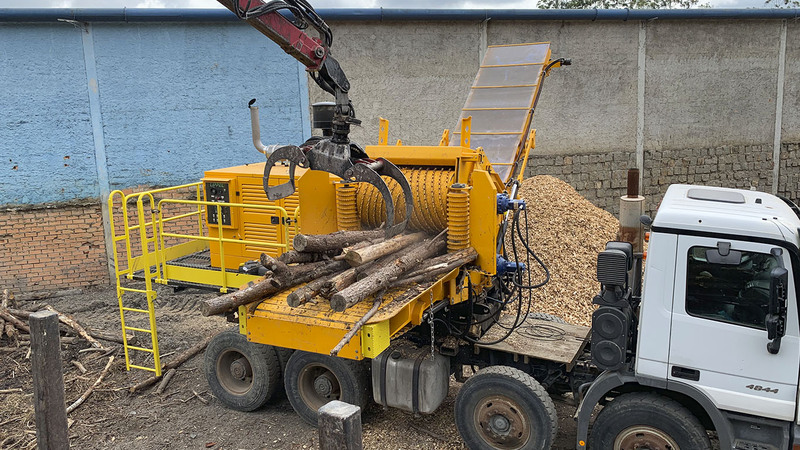 The machine comes with lateral traction rollers in an upright position that help to draw materials into the chipper. 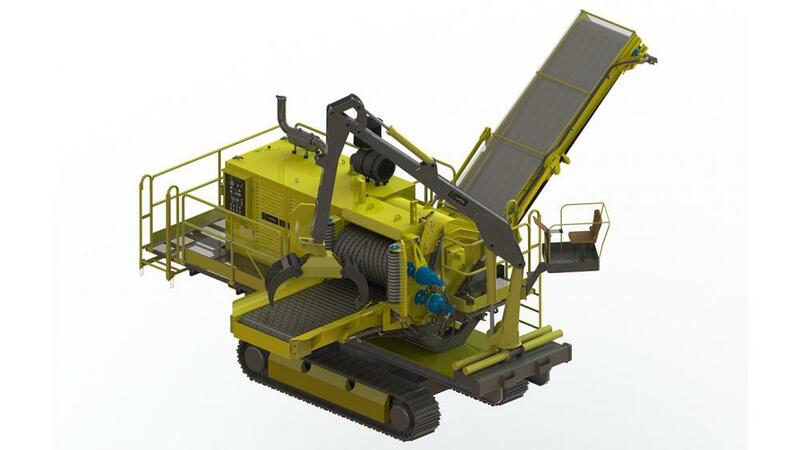 The lateral width with the rollers is 1730 mm and the vertical useful aperture is 1200 mm. 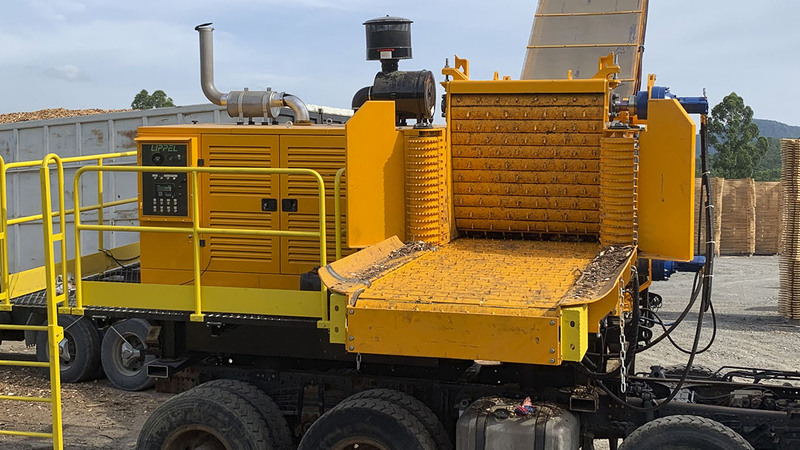 Already in the horizontal opening the option with traction conveyor belt is of 1000 mm and in the option with traction roll of 800 mm. 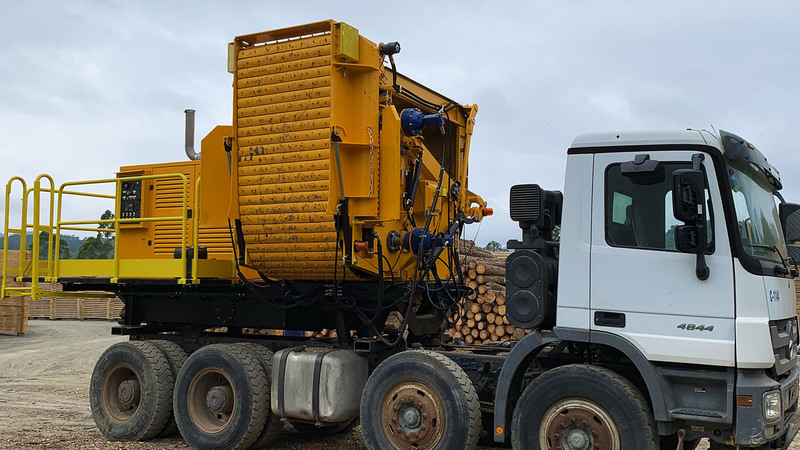 The rotor of this forestry chipper processes wood with a diameter of up to 600 mm with ease and can also receive larger logs. 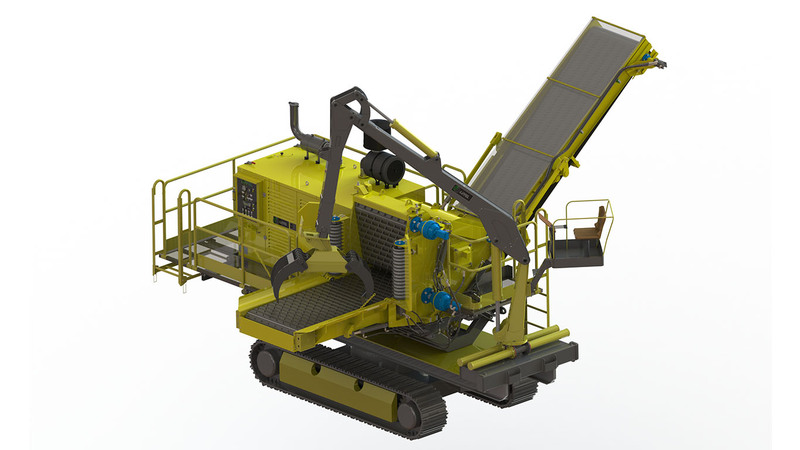 The cutting system consumes the lowest power of all the chippers in the market; consists of a special design, unique in the national market, with a system of segmented knives that facilitates the cutting and reduce the need for torque of the engine without giving up the quality of the chips. 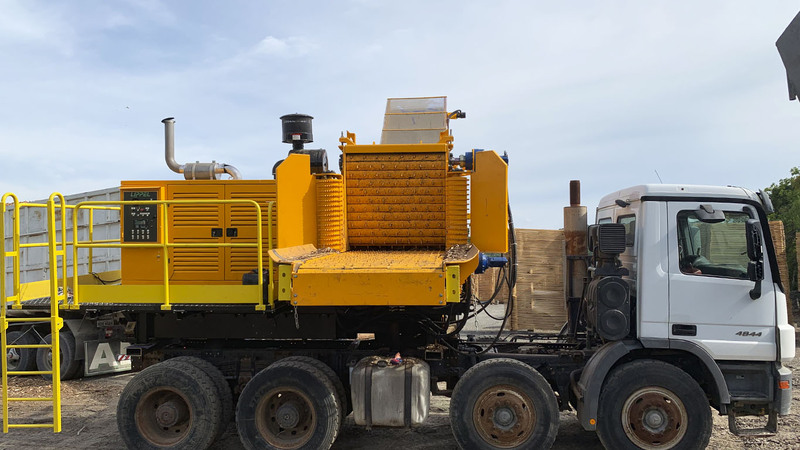 State-of-the-art diesel engine drive with 611 hp. 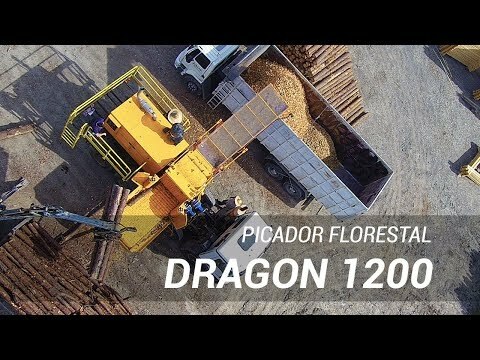 The Forest Chopper DRAGON 1200 has a compact and intelligent design, transverse mounted on the chassis, which allows the movement along the wood line and the loading flow, reducing the machine's downtime due to the repositioning of the equipment helping in the logistics of the wood chips producers. 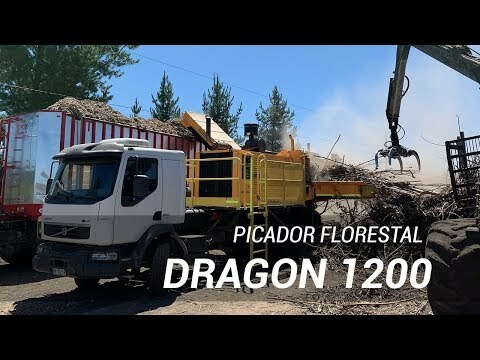 The DRAGON 1200 is the forestry chipper designed on the needs of those who want production and more production, completely idealized for greater performance. 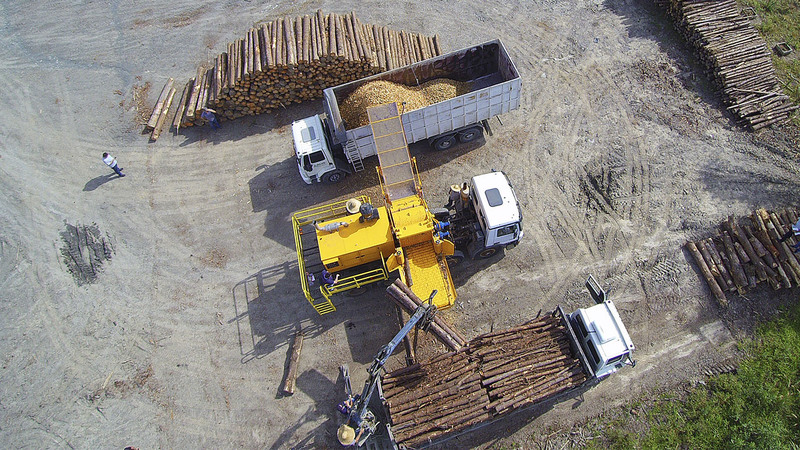 • Over truck or forwarder. 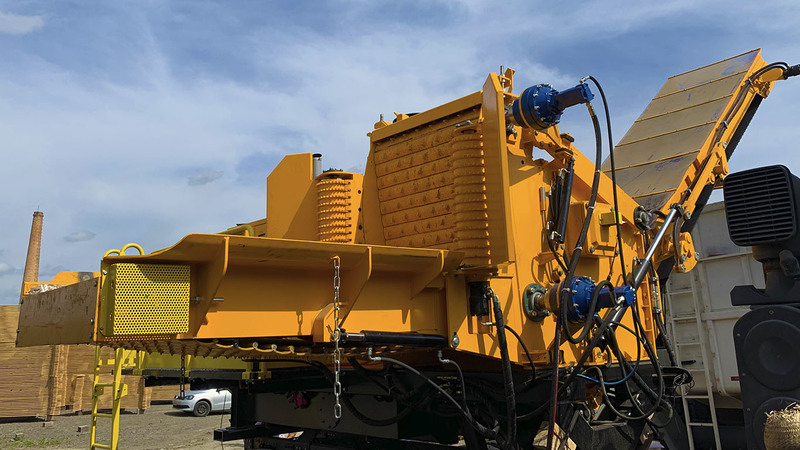 • Self-propelled system with self-propelled conveyor. 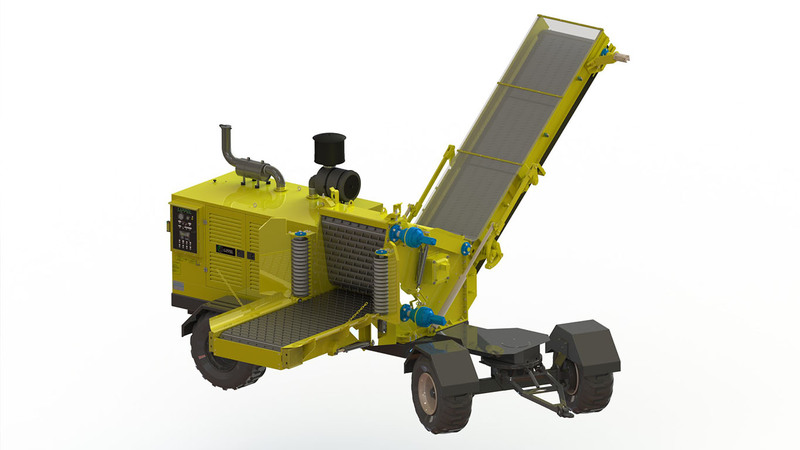 • Mounted with wheels being self propelled or towable.